But I’m just a post. What I need is love. A special scarf for me. But the bundled up post. 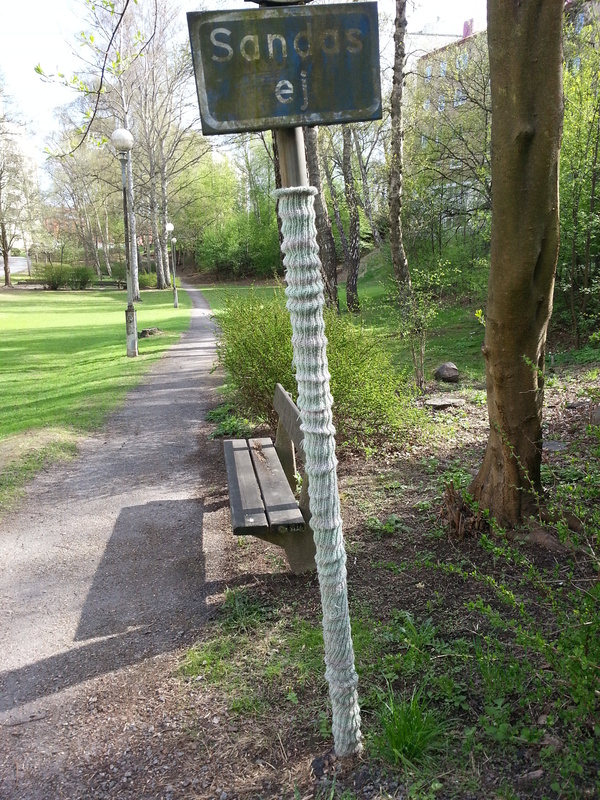 Posted on 11 May 2013 by Miss Kitten •	This entry was posted in Poetry and tagged Guerrilla Knitting, Yarn Bombing. Bookmark the permalink. I love guerilla knitting. I’m tempted to think it could save the world – or at least change it in a very good way. Agreed. It caused me to have an emotional moment with a wholly utilitarian object that I never would have noticed otherwise. But someone cared about it enough to physically interact with it. It really does change the way we think and feel about the things that surround us.